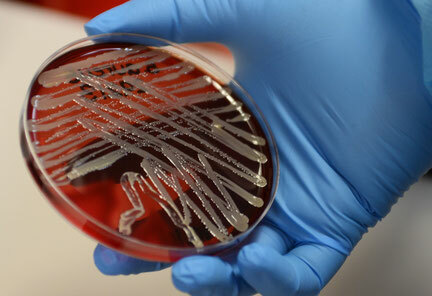 Are you working with bacteria and you want to investigate their transcriptome? You may have used a specific treatment or mutants and now you want to compare the gene expression profile to a control? You may even want to map the transcriptome of your bacterium? But you are not sure what exactly you should use for the analysis? Of course, there are microarrays but you have also heard of RNA sequencing (RNA-Seq) as cutting-edge technology for gene expression profiling. 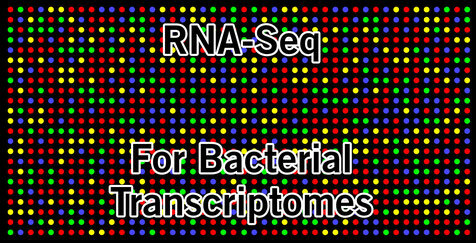 Read here about the advantages of RNA-Seq for transcriptome analysis of bacteria. RNA-Seq is based on next generation sequencing and has emerged as the preferable form to investigate transcriptomes. Some scientists even consider RNA-Seq as standard method for analysing transcriptomes and microarrays rather as a dated technology. RNA-seq enables the investigation of the transcriptome that includes the different kinds of RNA such as mRNA, rRNA, miRNA, tRNA, and therefore the understanding how the genome is expressed. More importantly, it allows investigating the gene expression in different tissues, at different time points, in response to certain treatments and the impact of mutations. In eukaryotes, RNA-seq can also be used to explore coding and non-coding RNA, to reveal complex genomic regions such as exon-exon junctions, and to investigate splicing patterns, splicing variants, gene isoforms and post transcriptional modifications. How does Eurofins Genomics put RNA-Seq into use for transcriptome analysis of bacteria? Eurofins Genomics provides expert RNA-Seq services to investigate scientific questions on gene expression, discovery and quantification of novel transcripts and splicing variants, and isoform sequencing-driven research. Here, state-of-the-art sequencing platforms such as the Illumina NovaSeq6000 and PacBio are utilised to achieve the best possible results for our customers. The most recent addition to our transcriptome investigation products is the INVIEW Transcriptome Bacteria. This product was launched to specifically investigate the transcriptome of any known prokaryotic organism, for any number of samples, starting with one sample! It is the method of choice for the analysis of differentially expressed genes, RNA editing, single nucleotide polymorphisms and post transcriptional modifications… and it is easy and convenient. You just need to send your total RNA samples from which we will remove the ribosomal RNA by ribo depletion, or, alternatively, send us your already rRNA-depleted total RNA samples. Upon reverse transcription to cDNA, we prepare libraries for sequencing with 10 million 50 bp single reads, guaranteed. The comprehensive Bio-IT includes mapping and aligning of the sequence reads to the reference genome or reference transcriptome. Eventually, the final report will be delivered with ready-to-publish data. Any further question about the INVIEW Transcriptome Bacteria? Get in touch with the sales representative in your region for more details and visit the INVIEW Transcriptome Bacteria product page. Did you like this article? Then subscribe to our Newsletter and we will keep you informed about our next blog posts. Subscribe to the Eurofins Genomics Newsletter here.